One story often leads to another. In March 2016 I met with Rabbi Stephen Weiss of B'nai Jeshurun Congregation about its 150th anniversary. He mentioned that a video history was in progress and I might wish to meet its producer Todd Kwait. Two weeks later, as my lunch with Todd Kwait was nearing its end, I asked if there was a story he might contribute to this website. He replied "If you want a good story, you should meet my wife's mother. She is a daughter of the Orkin family, the first Jewish farmers in Geneva." A week later I was admiring the historic photograph shown above. It was in the home of Judith Orkin Rosenthal. That's how I was led into the story of this close-knit and now lost group of Jewish farmers in Northeast Ohio. These pages now tell the story of the 1928 and 1929 picnics that they hoped would strengthen their community, the gift Rabbi Silver made and the Flock farm, the site of the picnic. There is also a "learn more" page with links to more about the farmers. Jewish agricultural colonies in the United States merited an entry in the 1906 Jewish Encyclopedia. (Read it here.) They were supported by Jewish philanthropists who hoped to see Jews return to the land, and not all settle in the crowded cities. Maurice de Hirsch, who had made his fortune with the Orient Express, was the primary benefactor. Starting before World War I, Jewish farmers came to three Northeast Ohio counties: Ashtabula, Lake, and Geauga. Their center was in Geneva Ohio, about 50 miles east of Cleveland. This group of farmers, now gone, is known by two names: Northeast Ohio Jewish farmers and Geneva Jewish Farmers. Concord grapes, shown above, were a major crop. 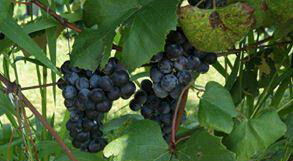 Today Geneva Ohio is the home of the Ohio Wine Producers. Interurban lines ran electric powered streetcars, modified to serve far outside city limits. 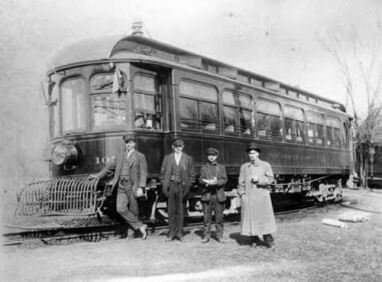 As shown in the 1910 photo of a Medina interurban, they could be equipped to move obstacles and animals off the track. Many had wider doors and space inside for freight. Geneva was a stop on the interurban when they were important in the 1920s. On them people, produce, even chickens, could move from farm to town or city. 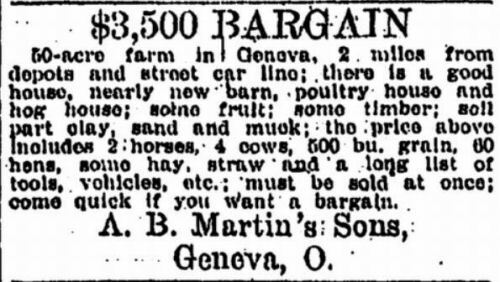 Farm families could shop in Cleveland; on a large purchase the merchant might pay the cost of the trip. With the great increase of car ownership in the 1920s and building of public highways, interurbans soon went out of business. 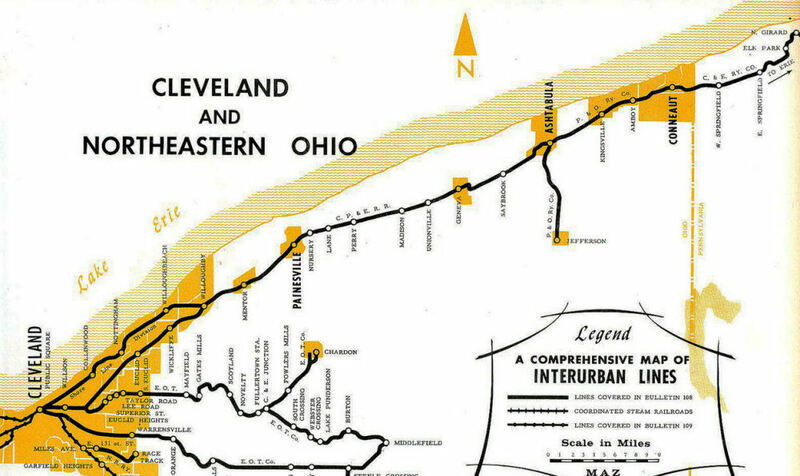 A note to historically-minded Clevelanders: when you get on a light rail line such as the Shaker Rapid or a "rapid" from downtown to the airport, remember the interurbans. Some were new immigrants; others moved from cities, wanting their children to breathe free. Some dedicated themselves to farming while others worked at other jobs or started small businesses. They were a close knit community that had no formal community structure. In the mid 1920s, with the help of the national Jewish Agricultural Society (JAS) and the Cleveland section of the Council of Jewish Women, the Jewish families around Geneva were getting organized . Their newly formed Jewish Farmers Association of Geneva Ohio was now ready to raise funds for purposes described as a community center, a synagogue and a Jewish school. Today we would call the 1928 "banquet" held at the farm of Meyer and Slova Flock on Labor Day, Monday September 3, 1928 the "kick off" event in a fund-raising campaign. Jewish Agricultural Society (JAS) officials were there. Rabbi Abba Hillel Silver of The Temple was the honored guest. The "second annual picnic" was also on the Flock farm, but it was moved to Independence Day, Thursday, July 4, 1929. It included a bazaar that ran through Sunday July 7. Rabbi Barnett Brickner of the Euclid Avenue Temple spoke. • See our page on both picnics. • See our page on the Flock farm. After the 1929 picnic publications say little about the Jewish farmers. In 1932 they hired an Orthodox rabbi for part-time teaching and to lead High Holy Day services. This may have used funds raised at the picnics. There is no further mention of the Farmers Association or its campaign. It may have been a casualty of the Depression and a sign of community decline as its children departed for college and many families left for city life. After World War II Cleveland's Jewish newspapers carry reports of life cycle events of the children of the Jewish farmers and the accomplishments of some of them. There are no stories of an active community, only tales looking back. In 1990 and 1992 we have reports of reunions organized by the children of these Jewish farming families. in Ashtabula and adjacent counties. Thank you Edward Bolte.